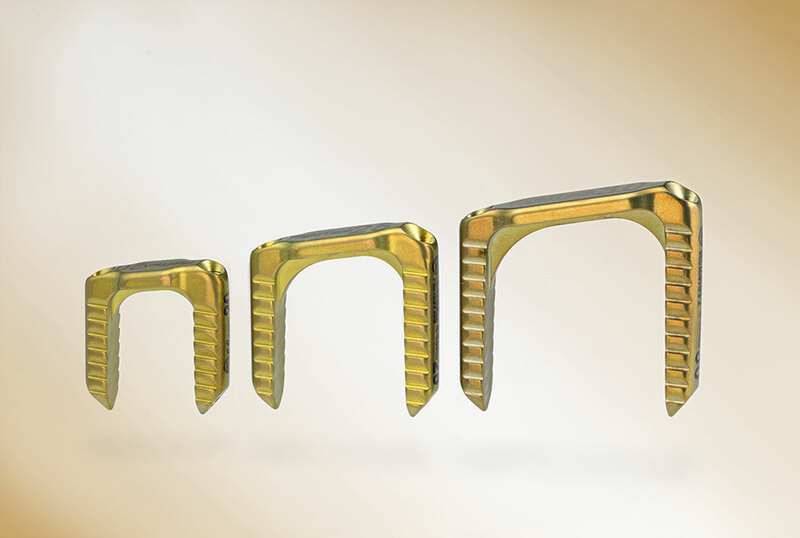 To ensure that the staples will behave rigidly and mechanically, their central areas are reinforced especially well, allowing stable, precise temporary epiphysiodesis. 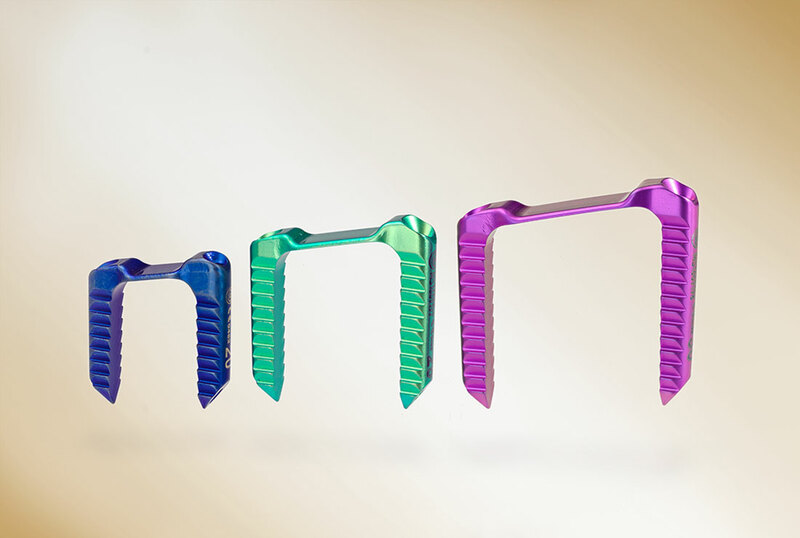 The trapezoidal design of the PediatrOS™ RigidTack™ staple is closely aligned to the anatomy of the femur and tibia. 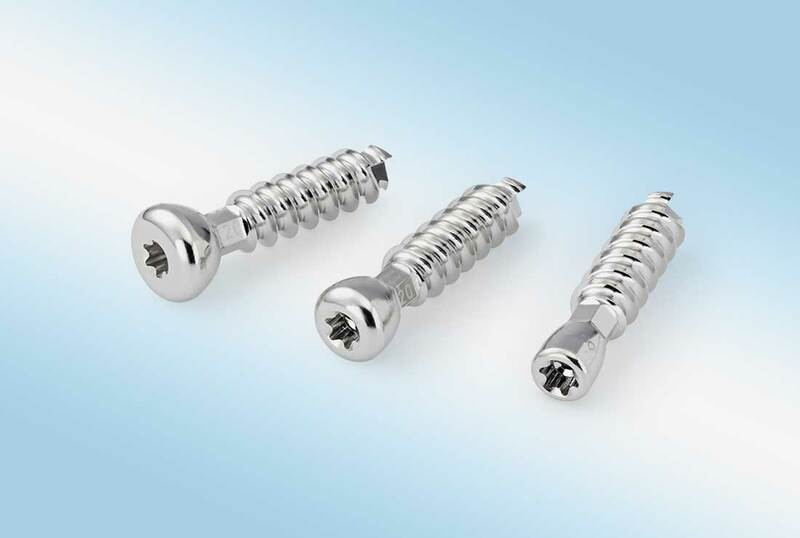 Cannulated legs allow accurate placement using K-wires. Low fluoroscopy times are another advantage. 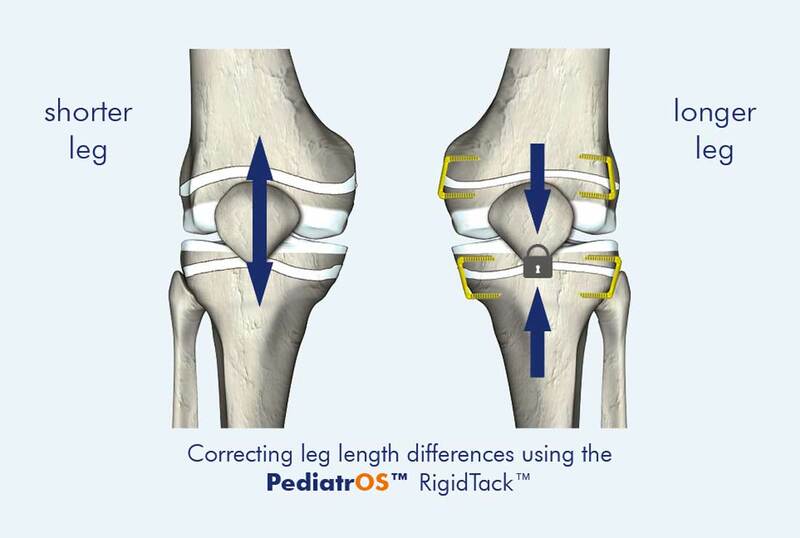 The PediatrOS™ RigidTack™ is the only growth arrest implant on the market specifically developed and approved for correcting leg length differences in children and adolescents.